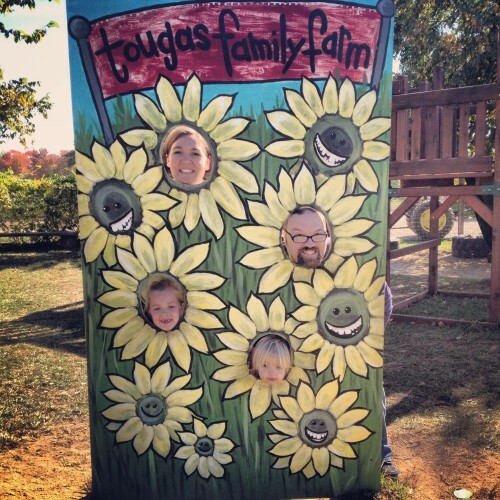 Instead of waiting around all day wringing my hands over some Skylanders deliveries that would never come we decided to go to Tougas Family Farm to pick apples. We caught up with my sister Shelby and my nephew Dylan. We had a very nice time all of us. We picked so many different varieties of apples and played in the play area, got to pet some goats and bought some extra goodies to take home, like Apple cider Donuts and Kettle Corn. Here are some photos from the day. 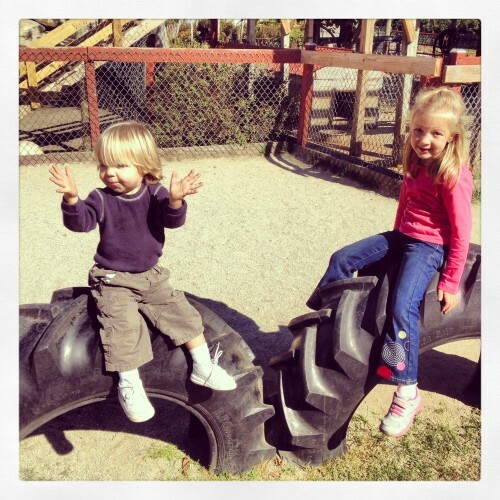 The Kids enjoyed playing on the tires at Tougas Family Farm. There were a ton of toys for them to play on and they both had a fantastic time. I love that this stand up had holes for all four of is and they were at the perfect heights, too. 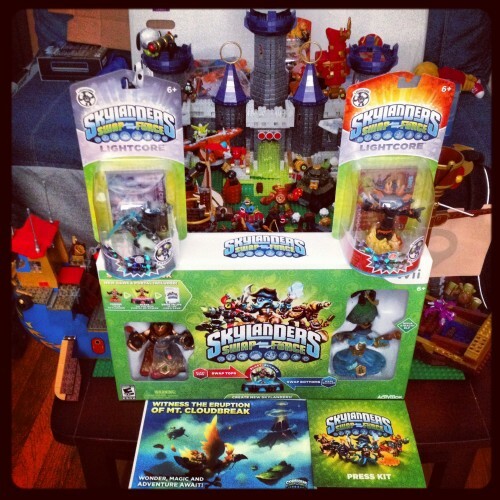 It was a huge surprise to me to come home on the holiday to see Skylanders Swap Force waiting for me. I couldn’t believe it. I guess it was a good idea to leave for the day because it completely snuck up on me.